Welcome to the Millennial Homemakers! 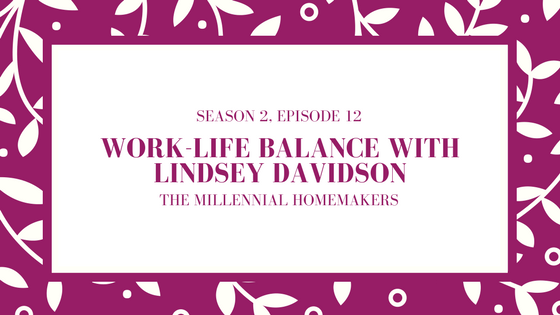 On this episode, you’ll get a chance to meet Millennial Homemaker Lindsey Davidson. Join us as we get to know Lindsey, as she shares how she and her husband handle the work-life balance. Learn what your Love Languages are - Take the quiz here!